Draft: 2010, Atlanta Braves, 2nd rd. Thomas David Cunningham...Is a 2007 graduate of Jacksonville (AL) High School, where he played baseball, ran cross country and was a kicker on the football team...Played college baseball at Jacksonville State (AL) University, where he was named the Ohio Valley Conference Freshman-of-the-Year in 2008...Was the 2009 Cape Cod League batting champion after hitting .378 while leading the league with a .458 on-base percentage...Was named to the Cape Cod League West All-Star team in 2009 as the starting center fielder at Fenway Park. Hit .284 (83-for-292) with 20 doubles, three triples, four home runs, 31 RBI and a .404 OBP in 96 games between Memphis (Cardinals' AAA) and Oklahoma City (Dodgers' AAA)...Attended spring training as a non-roster invitee with St. Louis before being assigned to Triple-A...Hit all four of his home runs while playing for Memphis...Produced a .315 batting average (28-for-89) in May...Hit .375 (21-for-56) with 13 runs scored, 11 RBI and a .470 on-base percentage while hitting safely in a season-high nine straight games from 4/30 to 5/9... Was charged with his only error of the entire season on 7/22... Led Memphis in walks and was second on the team in runs scored before being acquired by the Dodgers organization on 7/10... Ranked first in the Pacific Coast League in hit by pitches at the time of the trade...Was on the Oklahoma City disabled list from 8/7 thru 9/1 with a hip strain...Made 46 appearances (39 starts) in right field, 20 appearances (16 starts) in left field, 12 appearances (11 starts) in center field and six appearances (three starts) at second base between Memphis and Oklahoma. Saw acti on at the Major League level with the Braves and the minor league level with Triple-A Gwinnett... Made three diff erent stints with Atlanta, combining to hit .221 (19/86) with four doubles and four RBIs across 39 games... Tallied eight hits in first 12 at-bats following initi al call up...Logged fi rst big league RBI May 15 in Miami. Appeared at all three outf ield positi ons with Atlanta without committi ng an error: 22 games in left fi eld, four in right and two in center. At Triple-A, hit .261 (86/329) with 13 doubles, three triples, two home runs and 31 RBIs. Claimed off waivers by the Angels from the Braves, Oct. 9. Baseball America tabbed him as being the "Best Defensive Outfielder" in the Braves farm system in their 2015 "Best Tools" survey...In his second full season with Gwinnett, posted a .287 (135-for-470) batting average with 38 extra-base hits, including 28 doubles, 58 RBI and 59 runs scored over 120 games...Recipient of the 2014 "Gwinnett Braves Community Service Award"...Led the G-Braves with 135 hits, which ranked tied for eighth in the International League and third among Braves farmhands...Ranked in the top 10 among Braves minor leaguers in several offensive categories, including RBI (5th, 58), doubles (7th, 28), stolen bases (8th, 19), slugging percentage (9th, .408), OPS (8th, .753), at-bats (5th, 470) and games played (T6th, 120)...His 28 doubles, 58 RBI, 19 stolen bases, 120 games, 470 at-bats and 191 total bases were second-most on the G-Braves...Defensively played in 119 games in center field and led all GWI outfielders with 11 assists, while posting a .991 (333 total chances/3 errors) fielding percentage. Had two assists in 7/13 contest at Norfolk...Longest hitting streak of the season was eight games, 4/14-22, when he posted a .419 (13-for-31) batting average with four doubles, one home run, five RBI and four runs scored...Spent 15 days on the disabled list with a left thumb sprain. Was placed on GWI's DL on 6/6 (retroactive to 6/4); activated off the DL on 6/17...Tallied 35 multi-hit games, including a season-high four hits on three occasions (5/1, 7/4 and 8/6)...Posted a .325 (78-for-240) average with 12 doubles, six home runs and 37 RBI in 61 games played at home, compared to .248 (57-for-230) with 16 doubles, two home runs and 21 RBI in 59 games on the road...Batted .316 (48-for-152) in 40 games after the All-Star break, including posting his best month in August with a .316 average (31-for-98) over 25 games. Hit .274 (87-for-318) in 80 games prior to the All-Star break...Batted .343 (46-for-134) with 12 doubles, two triples, two home runs, 18 RBI and 15 runs scored in 33 games from the leadoff spot in the lineup...Belted GWI's only leadoff homer of the season on 8/13 vs. Pawtucket to become the first G-Braves to hit a leadoff homer since Jose Constanza did on 6/7/11 vs. Toledo...Fell a triple shy of hitting for the cycle on two occasions, 8/6 at Charlotte and 8/13 vs. Pawtucket...Clubbed his first career grand slam on 4/21 vs. Charlotte...Played in 18 games for Tigres del Licey of the Dominican Winter League: .229 (16-for-70). Made both his Triple-A and Major League debuts in 2013, appearing in a combined 124 games, including eight at the Major League level. Honored by the Braves organization as the Bill Lucas Award Winner, an annual award given to a Braves minor leaguer who best represents the organization both on and off the field. Opened the season with Triple-A Gwinnett where he hit .279 (100-for-358) with two doubles, two home runs, and 30 RBI with a .357 on-base percentage over 99 games before having his contract purchased by Atlanta on 7/30. Had his contract purchased on 7/30 and made his Major League debut that evening. Collected his first career hit in his first at-bat with a pinch-single off COL's Jeff Francis to left field in the seventh inning. Recorded two stints in Atlanta; contract purchased 7/30, optioned 8/11; recalled 8/23, optioned 8/28. He logged two hits in eight at-bats (.250) over eight games. Ranked seventh among Braves farmhands in runs scored (60), was tied for sixth in triples (5) and tied for seventh in stolen bases (20). Led the Gwinnett Braves in batting average (.265), on-base percentage (.342), runs scored (60) and triples (five), and finished second on the Club in hits (113) and stolen bases (20). Logged a team-high 38 multi-hit games, including 12 two-plus hit games in a 17-game span from 6/5-23. Over a 22-game span, from 6/5-28, batted .371 (33-for-89) with four doubles, eight RBI and 18 runs scored. He posted a .404 on-base percentage and reached base safely in 19 of 22 games in that span. Posted a pair of seven-game hitting streaks, including 5/21-29 (.520, 13-for-25, 10 runs, seven RBI) and 6/14-20 (.448, 13-for-29, six RBI, four runs). Had his best month in June when he posted a .324 (35-for-108) batting average. Honored as Gwinnett's "Most Competitive Player" on 8/30, his first team award with the G-Braves. Entered 2013 as the Braves' 12th-best prospect according to Baseball America...Was also named the "Best Hitter for Average" and "Best Defensive Outfielder" in the organization by the publication ... Named the Braves Organizational Player of the Year in his third season after playing in 120 games at Mississippi (AA) ... His .309 average ranked second among Braves farmhands, trailing only Gwinnett's Jose Constanza (.314)...Established career highs in batting average (.309), hits (120), doubles (23), triples (six), runs scored (77), RBI (51), stolen bases (24), on-base percentage (.364) and OPS (.767) in career-high 120 games... Ranked among Southern League leaders in batting average (3rd, .309), runs scored (T-3rd, 77) and hits (4th, 144) ... Also ranked second in lowest total plate appearances per strikeout ratio at 10.18...Put together the Southern League's third-longest hitting streak at 16 games, from 6/2-21...He hit .359 (4 2B, 1 3B, 12 R, 10 RBI) during the streak, also the longest by an M-Brave on the year...Reached base safely in a team-best 21 straight games from 5/28-6/21 (.358 AVG, .388 OBP)...Posted a .981 fielding percentage in 113 games in the outfield, committing four errors in 207 chances...He ranked second on the Club in outfield assists with six...Named a Southern League mid-season All-Star after hitting .325 with 11 doubles, two triples, 19 RBI and nine steals in the first half...Hit .295 with 12 doubles, four triples, three home runs, 51 runs scored, 32 RBI and 15 stolen bases in the second half to earn Southern League postseason All-Star honors in the outfield... Was the organizational Player of the Month at Mississippi three straight months, including May (.337), June (.311) and July (.347)...Following the season, played in 24 games with the Naranjeros de Hermosillo in the Mexican Pacific League...He hit .274 with five doubles, three home runs, seven RBI and three stolen bases. Enters the 2012 campaign as the Braves #16 prospect according to Baseball America...Played the majority of the season with the Class A Lynchburg Hillcats, batting .257 (86-for-334) with 12 doubles, four triples and a .348 OBP in 87 games...Appeared in four games (rehabilitation assignment) for the Gulf Coast League Braves from 7/27-30 (.182, 2-for-11)...In 91 games between GCL and Lynchburg hit .255 (88-for-345) with 12 doubles, five triples and a .346 OBP...Hit .581 (18-for-31) over an eight-game span, 5/1-10...Had a career-high four hits on 5/4 at WIL...Named by the Braves organization as the May Player of the Month for Lynchburg after batting .324 (35-for-108) with four doubles, one triple, one home run and a .411 OBP in 28 May games...Hit .280 (59-for-211) vs. right-handed pitchers and .220 (27-for-123) vs. lefties...Selected to the Carolina League All-Star team...In 18 games for the Surprise Saguaros of the Arizona Fall League hit .250 (16-for-64) with four doubles, one triple and 11 RBI...Entered the 2011 campaign as the 20th-best prospect in the Braves organization, according to Baseball America. Began his professional career in Rome (A), where he saw action in 65 games...Hit his first professionalhome run on 7/12 vs. CSC. May 15, 2018 Charlotte Knights released RF Todd Cunningham. 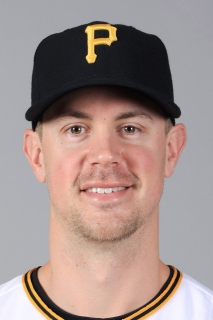 April 27, 2018 Pittsburgh Pirates traded CF Todd Cunningham to Chicago White Sox for Player To Be Named Later. April 27, 2018 RF Todd Cunningham assigned to Charlotte Knights. December 7, 2017 Pittsburgh Pirates signed free agent CF Todd Cunningham to a minor league contract and invited him to spring training. December 7, 2017 CF Todd Cunningham assigned to Indianapolis Indians. November 6, 2017 CF Todd Cunningham elected free agency. September 2, 2017 Oklahoma City Dodgers activated CF Todd Cunningham from the 7-day disabled list. August 7, 2017 Oklahoma City Dodgers placed CF Todd Cunningham on the 7-day disabled list. July 12, 2017 CF Todd Cunningham assigned to Oklahoma City Dodgers. July 10, 2017 St. Louis Cardinals traded RF Todd Cunningham to Los Angeles Dodgers for cash. March 30, 2017 RF Todd Cunningham assigned to Memphis Redbirds from Springfield Cardinals. November 18, 2016 St. Louis Cardinals signed free agent LF Todd Cunningham to a minor league contract and invited him to spring training. November 18, 2016 RF Todd Cunningham assigned to Springfield Cardinals. October 3, 2016 RF Todd Cunningham elected free agency. July 29, 2016 Los Angeles Angels sent RF Todd Cunningham outright to Salt Lake Bees. July 26, 2016 Los Angeles Angels designated CF Todd Cunningham for assignment. July 6, 2016 Los Angeles Angels selected the contract of CF Todd Cunningham from Salt Lake Bees. June 21, 2016 Los Angeles Angels sent CF Todd Cunningham outright to Salt Lake Bees. June 18, 2016 Los Angeles Angels designated CF Todd Cunningham for assignment. June 11, 2016 Los Angeles Angels selected the contract of CF Todd Cunningham from Salt Lake Bees. April 3, 2016 CF Todd Cunningham assigned to Los Angeles Angels. April 2, 2016 Los Angeles Angels sent CF Todd Cunningham outright to Salt Lake Bees. October 9, 2015 Los Angeles Angels claimed CF Todd Cunningham off waivers from Atlanta Braves. September 8, 2015 Atlanta Braves recalled CF Todd Cunningham from Gwinnett Braves. August 8, 2015 Atlanta Braves optioned CF Todd Cunningham to Gwinnett Braves. August 7, 2015 Atlanta Braves recalled Todd Cunningham from Gwinnett Braves. June 15, 2015 Atlanta Braves optioned CF Todd Cunningham to Gwinnett Braves. May 31, 2015 CF Todd Cunningham assigned to Gwinnett Braves. May 14, 2015 Atlanta Braves recalled Todd Cunningham from Gwinnett Braves. April 4, 2015 Atlanta Braves optioned CF Todd Cunningham to Gwinnett Braves. November 14, 2014 OF Todd Cunningham assigned to Tigres del Licey. September 29, 2014 Atlanta Braves recalled CF Todd Cunningham from Gwinnett Braves. June 17, 2014 Gwinnett Braves activated CF Todd Cunningham from the 7-day disabled list. March 20, 2014 Atlanta Braves optioned LF Todd Cunningham to Gwinnett Braves. October 12, 2013 Todd Cunningham roster status changed by Atlanta Braves. August 28, 2013 Atlanta Braves optioned CF Todd Cunningham to Gwinnett Braves. August 23, 2013 Atlanta Braves recalled Todd Cunningham from Gwinnett Braves. August 11, 2013 Atlanta Braves optioned Todd Cunningham to Gwinnett Braves. July 30, 2013 Atlanta Braves selected the contract of Todd Cunningham from Gwinnett Braves. April 1, 2013 Todd Cunningham assigned to Gwinnett Braves from Mississippi Braves. January 10, 2013 Atlanta Braves invited non-roster CF Todd Cunningham to spring training. November 20, 2012 Naranjeros de Hermosillo placed CF Todd Cunningham on the reserve list. October 23, 2012 Naranjeros de Hermosillo placed OF Todd Cunningham on the reserve list. October 23, 2012 Todd Cunningham roster status changed by Naranjeros de Hermosillo. October 9, 2012 OF Todd Cunningham assigned to Naranjeros de Hermosillo. April 20, 2012 Todd Cunningham roster status changed by Mississippi Braves. March 29, 2012 OF Todd Cunningham assigned to Mississippi Braves from Lynchburg Hillcats. February 2, 2012 Atlanta Braves invited non-roster CF Todd Cunningham to spring training. August 2, 2011 Todd Cunningham roster status changed by Lynchburg Hillcats. July 27, 2011 sent OF Todd Cunningham on a rehab assignment to GCL Braves. June 23, 2011 Lynchburg Hillcats placed OF Todd Cunningham on the 7-day disabled list. April 3, 2011 OF Todd Cunningham assigned to Lynchburg Hillcats from Rome Braves. June 17, 2010 Todd Cunningham assigned to Rome Braves from Atlanta Braves. June 16, 2010 Atlanta Braves signed OF Todd Cunningham.